BHD Creative website terms and conditions for access and use. Thank you for visiting the website of BHD Creative Ltd. 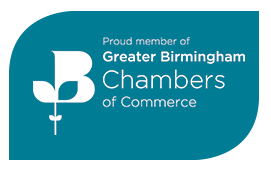 The terms ‘BHD Creative Ltd’, ‘us’ and ‘we’ refer to the owner of this website, whose registered office is 103 Carver Street, Jewellery Quarter, Birmingham, B1 3AP. Our company registration number is 6541263. The term ‘you’ refers to any visitor, user or viewer of our website. Access to and use of this website is subject to terms and conditions as listed below. BHD Creative Ltd reserves the right to amend this document at any time. By accessing and using this website you are agreeing to be bound by these terms and conditions. BHD Creative Ltd has made all reasonable efforts to ensure that the information provided on this website is accurate at the time of inclusion. Information may be updated or changed at any time without notice. Although we endeavour to keep this website up-to-date and fully functional, BHD Creative Ltd accepts no liability for any inaccuracies or omissions, nor do we guarantee that this website will remain available at all times. Any decisions made based on information contained in this website are the sole responsibility of the visitor. Unless otherwise stated, the intellectual property rights to all content and materials on the website are the property of BHD Creative Ltd. All intellectual property rights are reserved, subject to the following conditions of use. You do not edit or otherwise modify any material from this website. Persons name, identification number, email address; home address; work address; mobile phone and so on. We refer to the ICO guidelines on what constitutes personal data with regards to the identification of an individual through that data. For general data protection regulation purposes, the “data controller” means the person or organisation who decides the purposes for which and the way in which any personal data is processed. The data controller is BHD Creative Ltd.
BHD Creative, as a Data Controller, is bound by the requirements of the General Data Protection Regulations (GDPR). How is this collected / sourced? A more detailed breakdown of the data we collect, the third-party applications we share specific data with and staff access privileges to personal data can be accessed on request. At BHD Creative take your privacy seriously and will only use your personal information to provide the Services you have requested from us, detailed in your Letter of Engagement and supporting services Schedules and as we have identified above. We will only use this information subject to your instructions, data protection law and our duty of confidentiality. When you give us personal information, we take steps to make sure that it’s treated securely. Non- sensitive details (your email address etc.) are sent normally over the Internet, and this can never be guaranteed to be 100% secure. As a result, while we strive to protect your personal information, we cannot guarantee the security of any information you transmit to us, and you do so at your own risk. Once we receive your information, we make our best effort to ensure its security on our systems. We will periodically send you free newsletters and emails that directly promote the use of our Platform, or Services. When you receive newsletters or promotional communications from us, you may indicate a preference to stop receiving further communications from us and you will have the opportunity to “opt-out” by following the unsubscribe instructions provided in the email you receive or by contacting us directly via info@bhdcreative.co.uk. Marketing: We will hold your data for an unspecified period, unless you choose to opt out or update or delete data at any point should you need to do so and details are set out in this policy as to how to do that. Contracted Services: We will hold your data for a minimum period of 6 years in line with our regulatory requirements. We may hold onto your data for extended periods should our obligations under law change. If you would like a copy of some or all your personal information, please email: info@bhdcreative.co.uk. We will respond to your request within one month of receipt of the request. We want to make sure your personal information is accurate and up to date. You may ask us to correct or remove information you think is inaccurate by emailing info@bhdcreative.co.uk. (a) The processing is based on consent or on a contract, and (b) The processing is carried out by automated means. Should you wish for us to completely delete all information that we hold about you please request by emailing info@bhdcreative.co.uk. A cookie is an identifier file containing a string of letters and numbers that is sent from a web server to a web browser. The file is stored on the browser and returned to the server each time access to a page on the server is requested i.e. each time you revisit a website. Although cookies do not typically store personally identifiable information, personal information held by us may be linked to cookies stored on your browser. This website is owned and operated by BHD Creative Ltd.
All estimated prices quoted, whether written or verbal, are for the listed and mentioned services only. Any additional services required to complete a project will be quoted for in advance and charged accordingly. Deliveries and couriers are additional (unless specified in the quotation). All estimates are based on expected or agreed design time and include one set of authors corrections where alterations are called for by the Client, or if additional changes are required by client. Once a client has agreed to the Company’s current Terms and Conditions on a credit account with the company, BHD Creative Ltd may for some projects invoice in project stages e.g. Stage 1 Conceptual Design, Stage 2 Detailed Design and Production of Printed Materials etc. BHD Creative Ltd reserves the right to invoice for any disbursements for part works carried out including third party costs incurred on a project should the project be unable to be completed for any reason or has been delayed/put on hold by the Client for a period of 4 weeks or more. In good faith, BHD Creative Ltd would hold any supplied files, originals and materials for a period of up to 12 months. Resumption of works on the project would be completed according to the original schedule of costs so long as the project specification remained unaltered. It is the responsibility of the Client that all materials (including, but not limited to images, diagrams, logos, videos, data, as well as intellectual property in other media) supplied to BHD Creative Ltd by the client will have the relevant copyrights, licenses and permissions for use in the commissioned project. BHD Creative Ltd will not accept responsibility/liability for infringements caused by any wrongly supplied materials. Advice of any loss, quality or damage issues must be reported to the Company within five clear working days of delivery and receipt (whether printed or digital) and any claim in respect thereof must be made in writing to the Company within 3 working days thereafter. The Company shall not be liable in respect of any claim unless the aforementioned requirements have been complied with. In the event of any bona fide dispute or difference arising between the parties in connection with the Contract (excluding any dispute relating to non-payment of the Charges, for whatever reason), the parties shall attempt to resolve such dispute or difference in good faith or by mediation. It is the responsibility of the Client to inform the Company immediately of any issue that may lead to a dispute (including but not limited to quality, service, cost, missed deadline), without such information, no disputes will be entered into. In accordance with GDPR, should the Client wish for BHD Creative to handle / process any of their customer data or to provide systems to process personal data (eg web-based databases), it is the Client’s legal responsibility to ensure the processes requested of us are data-compliant and to have a written contract in place with us to carry out such processes. Furthermore, it is the Client’s responsibility to ensure they have obtained consent from the individuals for the personal data they pass over to us for processing. 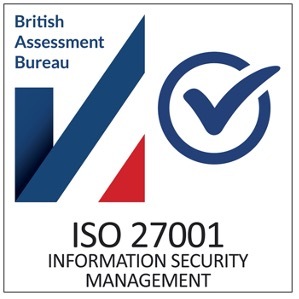 BHD Creative are accredited with UKAS ISO27001. BHD Creative take all reasonable steps to ensure the all handling, storage and processing of personal data complies with the regulations stipulated by GDPR. Access to the policies and processes relating to the handling of personal data, Disaster Recovery, Privacy and ISMS policies are available on request. If at any point during the design or development cycle a client wishes to cancel, they may do so but will be invoiced an amount that BHD Creative Ltd judges to be proportional to the amount of work completed on the commission and further compensatory charges for booked design time or printing press time or any other supply costs accruing. BHD Creative Ltd will have a lien over any product, data or materials if all payments due from you have not been paid and cleared in full within 1 month from the date of the invoice. We reserve the right to withhold supply of goods and, in the case of web services, this includes recalling services including the hosting of websites.